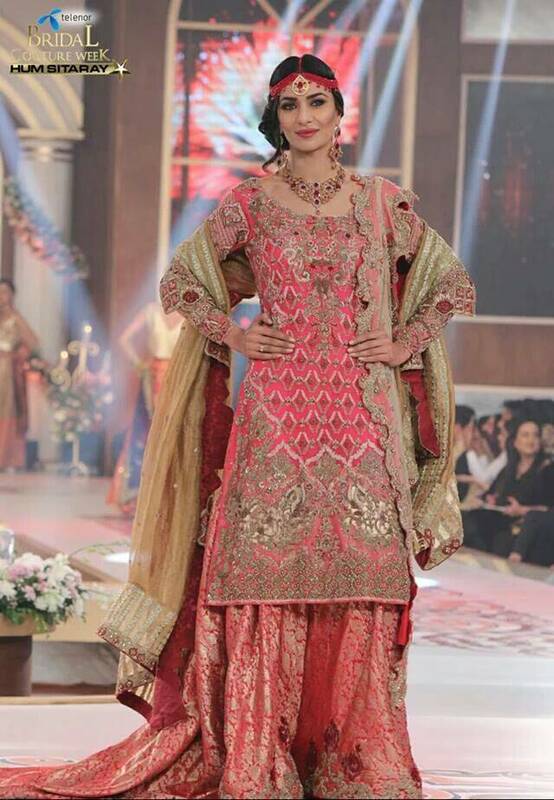 Pakistan Fashion industry is growing day by day. 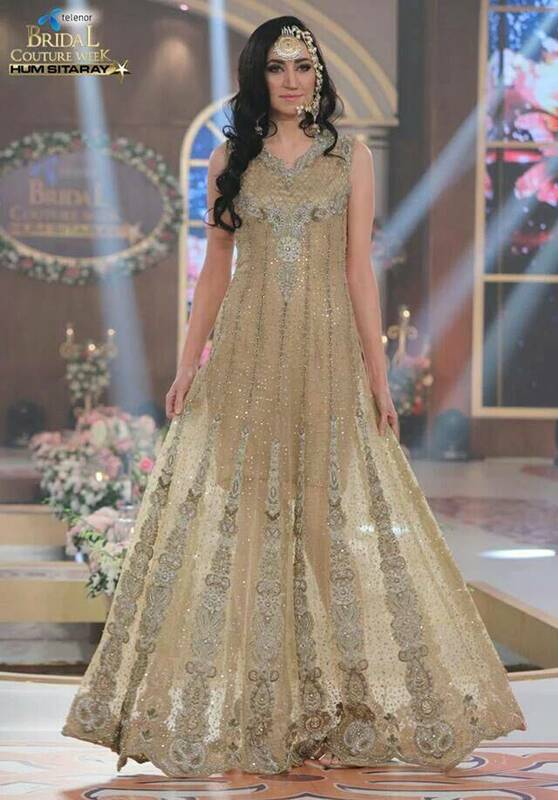 It has achieved tremendous success in its growth. 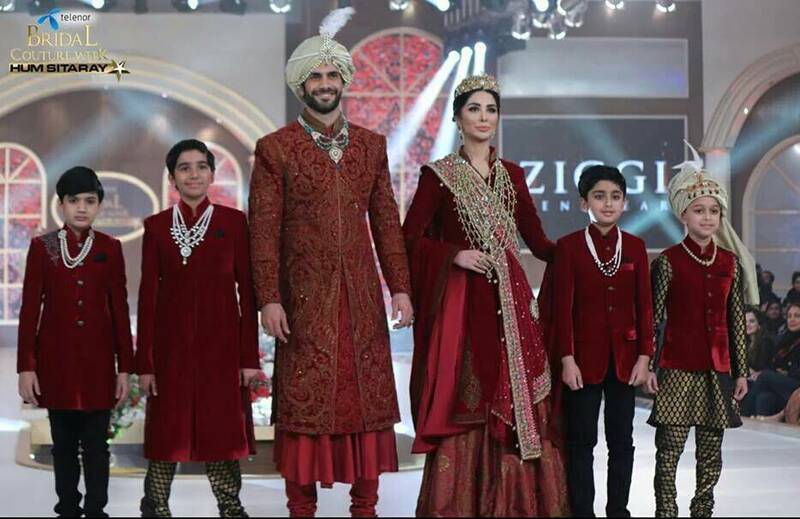 Lahore and Karachi are the main hubs for the Fashion Industry. 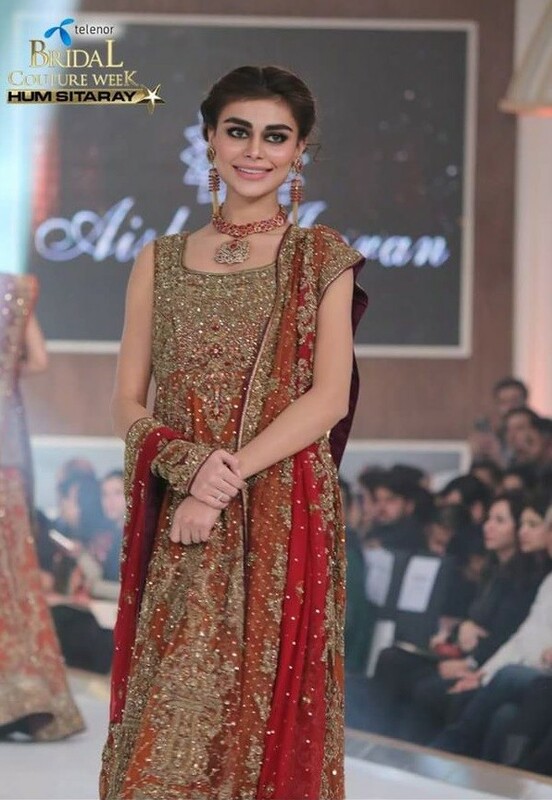 New young and talented people are moving Karachi and Lahore to be a part of this glamorous industry. 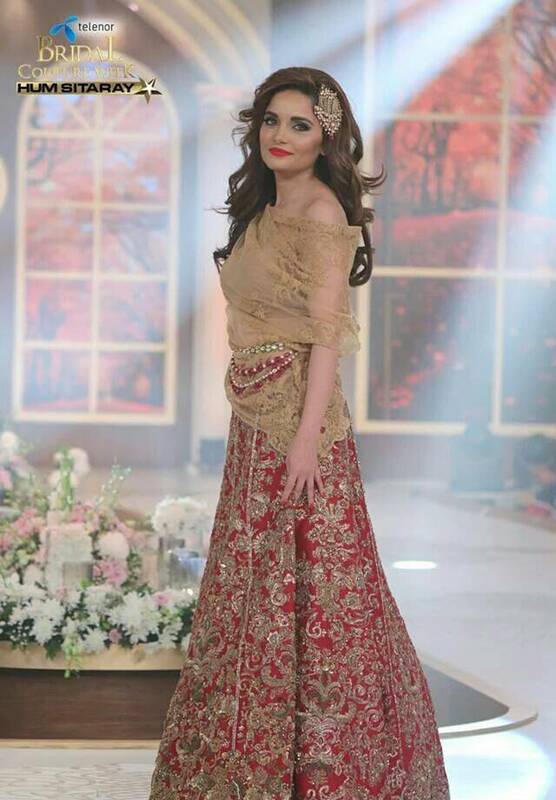 In order to promote fashion in Pakistan every year several famous private channels are organizing Fashion shows. 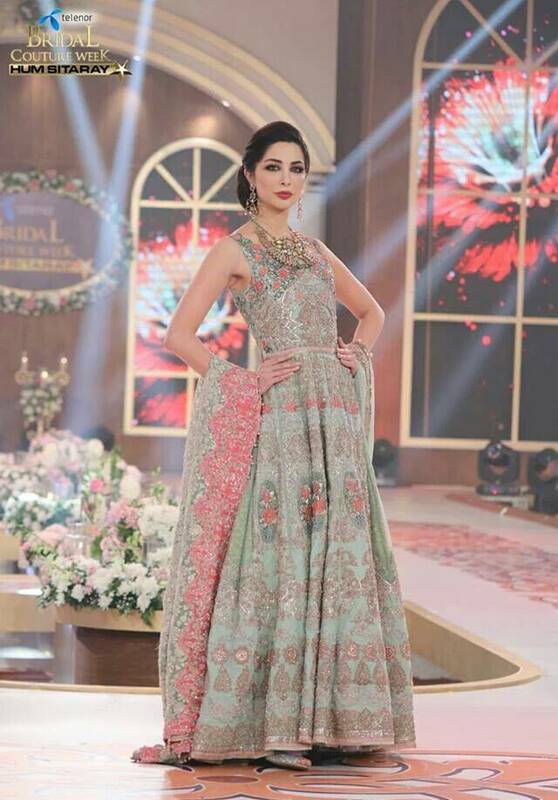 Hum Network is one of those Private Networks to put their share in the growth of the Industry. 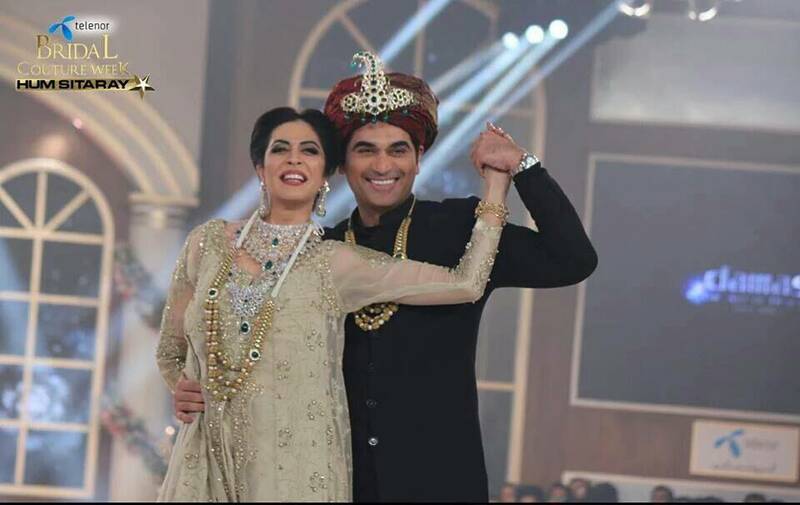 Since been five years Hum network is organizing country's biggest Bridal Fashion week which presents latest Bridal Fashion Trends with the cooperation of Telenor. 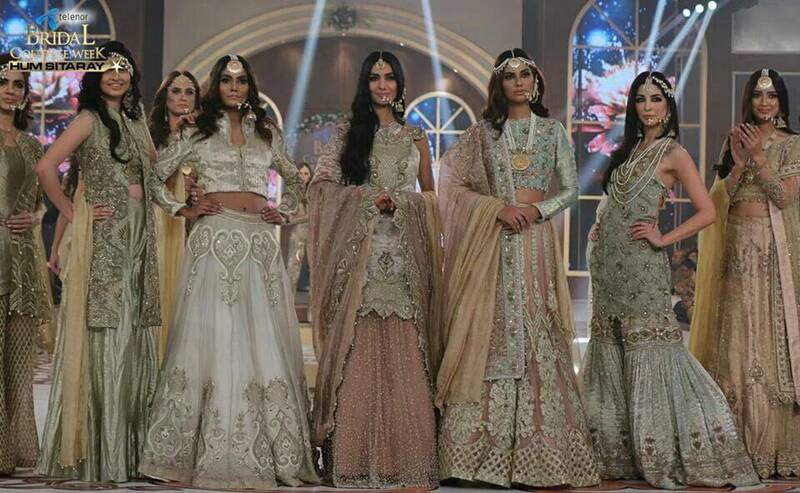 The Telenor Bridal Couture week is a Country's biggest fashion week in which several famous Pakistani designers presents their collection of latest Bridal Fashion Trends. 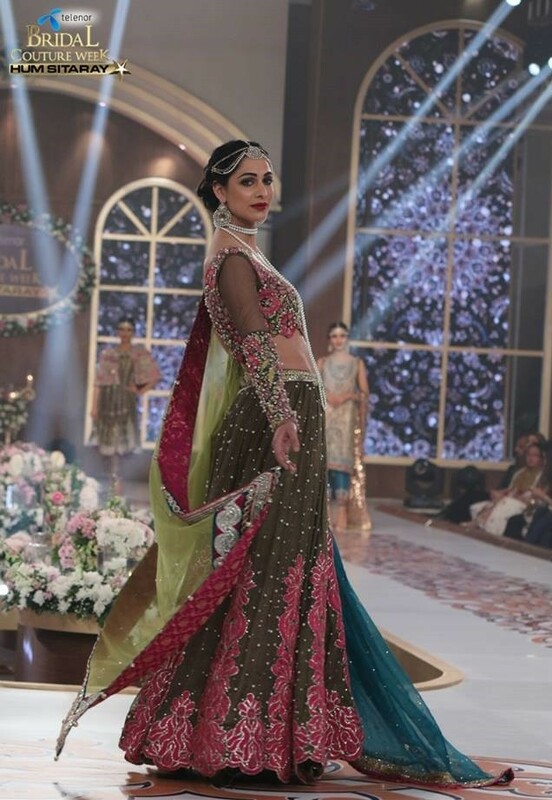 TBCW held twice a year and is a biggest platform for new fashion and jewelry designers. 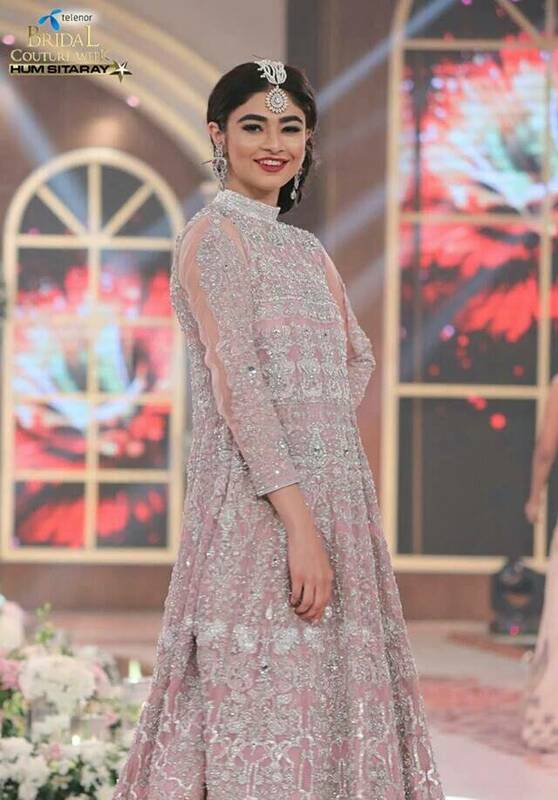 This show was started from 05 years with cooperation between Pakistan's one of the top telecommunication services "Telenor" and Hum Network with the objective to promoted Bridal Fashion Industry. 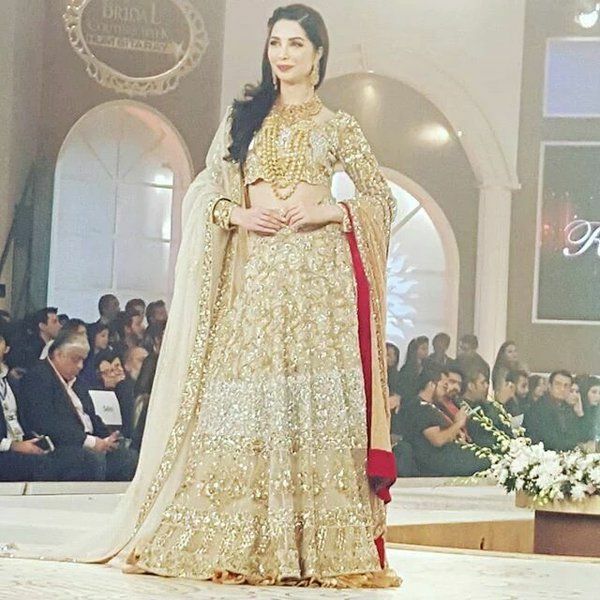 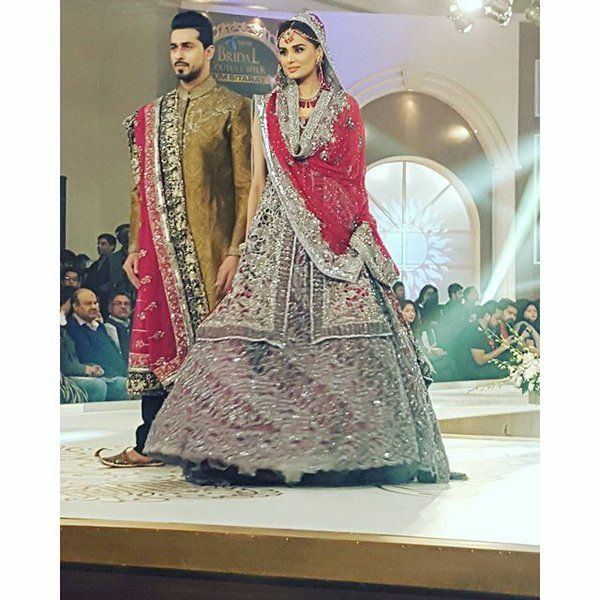 The second Telenor Bridal Couture week of this year was held on 11 December 2015 till 13 December 2015. 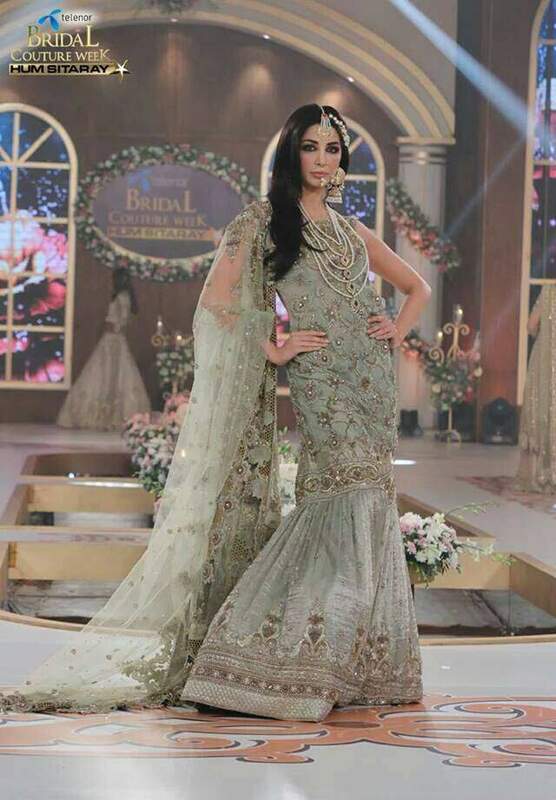 In this 3 days event almost 27 designers including some famous fashion designers showcased their amazing Bridal Fashion Trends collection for fall winter/Autumn 2015-2016. 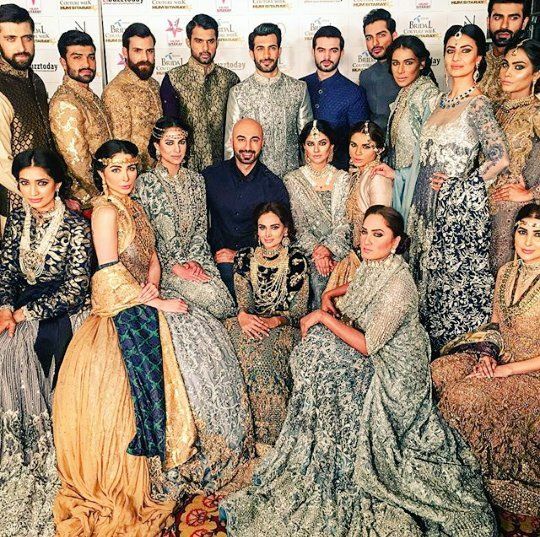 Famous designers like HSY, Nickie Nina, Shazia Kiyani, Zaheer Abbas, Lajwanti were among the designers to showcased collection. 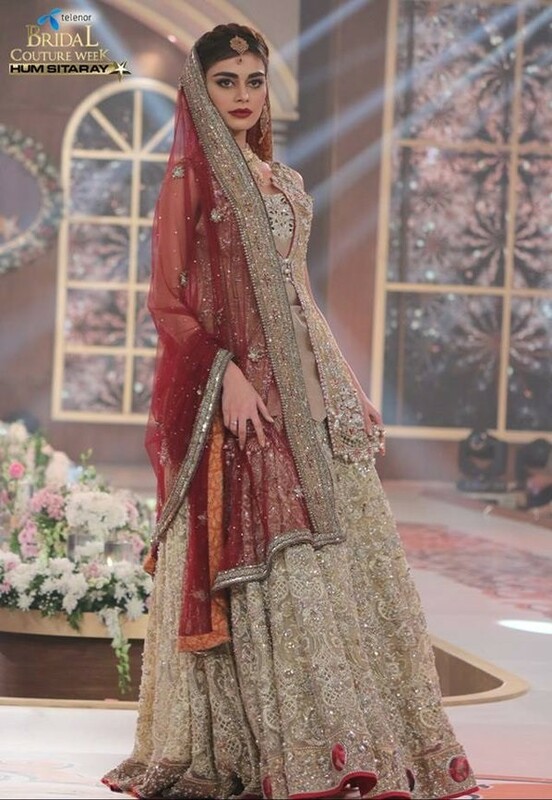 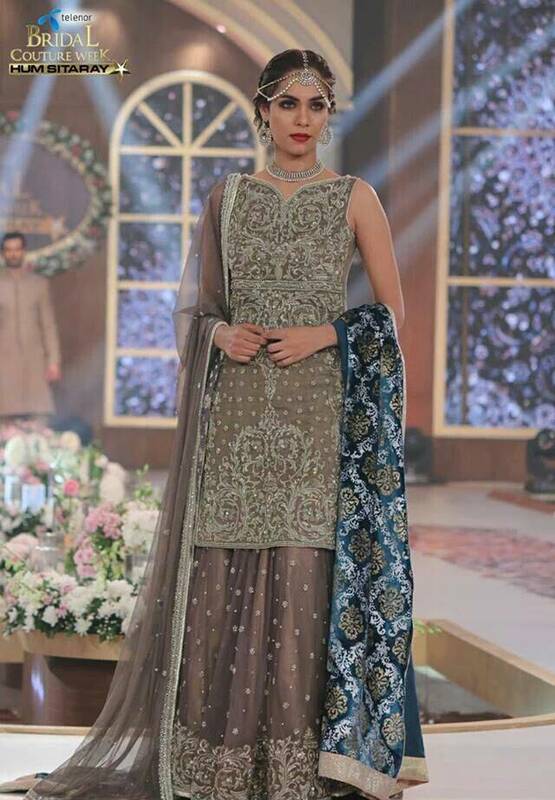 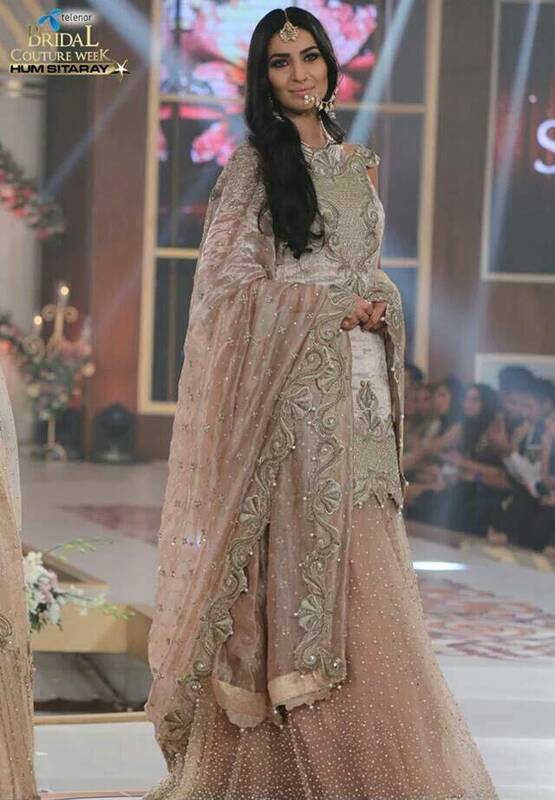 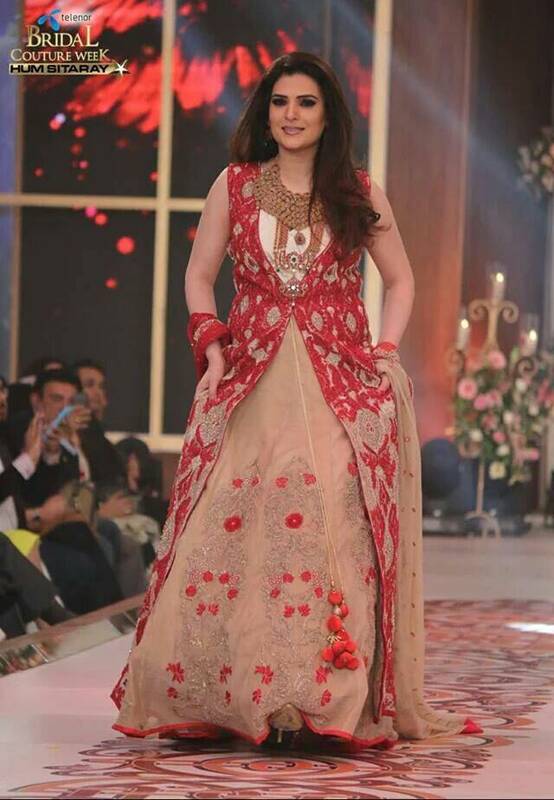 Anees Malik's Ardhangni was one of the best collection of the Telenor Bridal Couture week 2015. 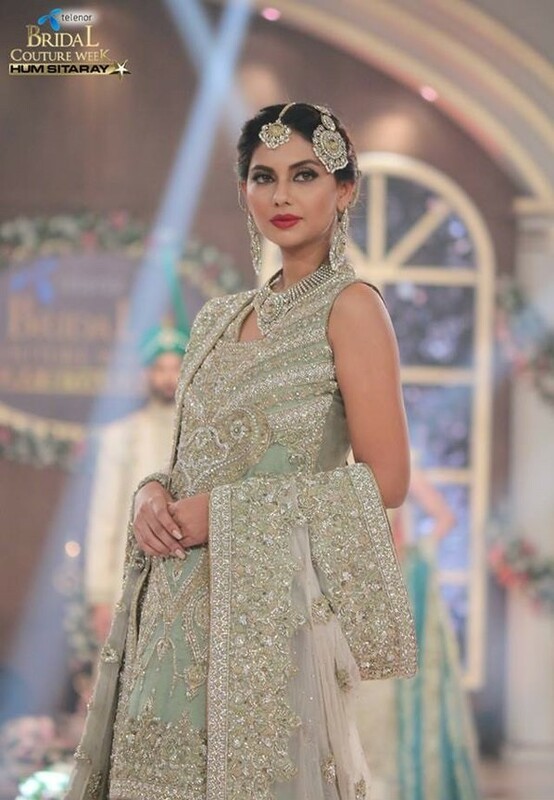 He made a contrast of white saris with apple green and pink blouses, embellished with Benarasi borders. 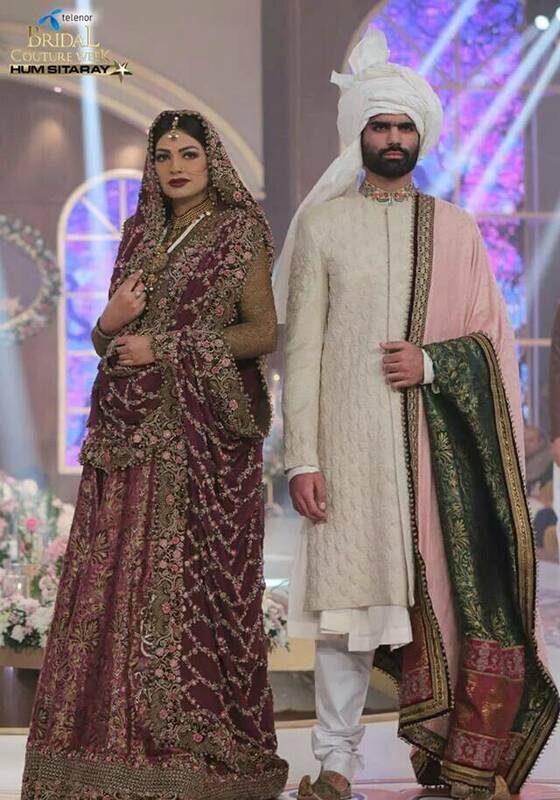 Telenor Bridal Couture week proves to be a biggest a platform to promote Bridal Fashion Industry in Pakistan as well as on International level. 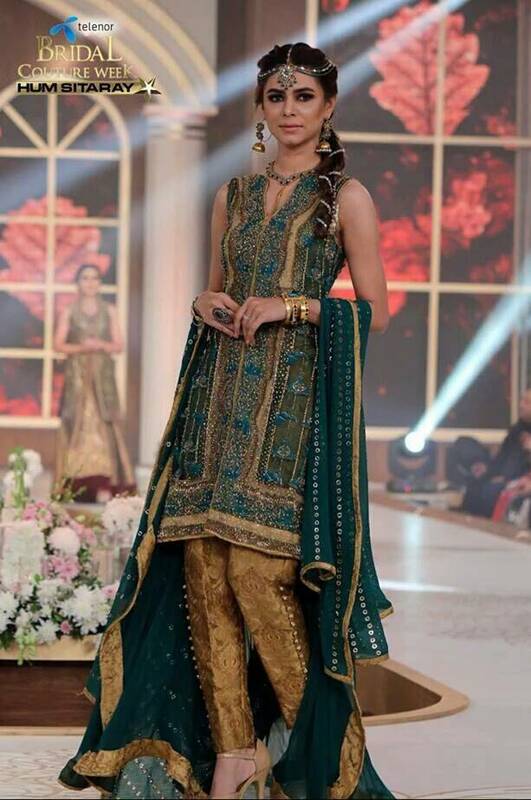 Nabila’s Hair & Make-Up trend show began the night, featuring an exotic wardrobe by leading couturiers. 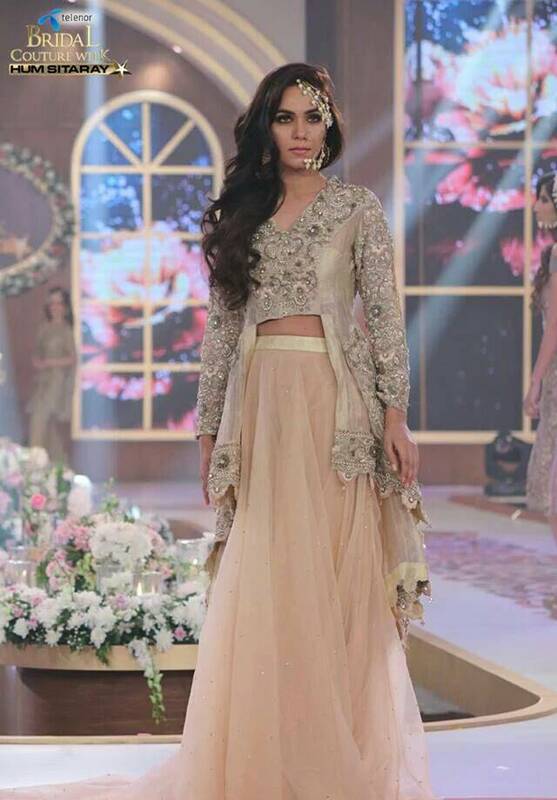 From bold looks to bright pastels, up dos to loose curls, Nabila Maqsood spun magic on the ramp, demonstrating how a winter bride should style herself. 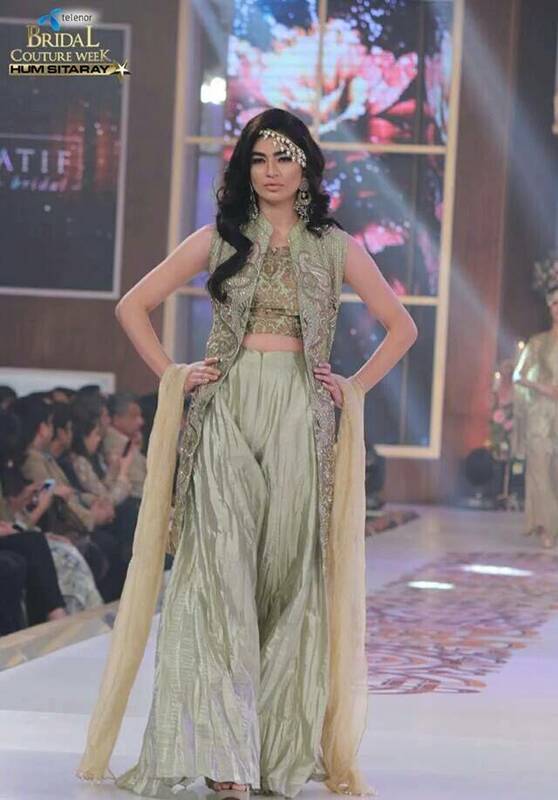 @iMehreenSyed walks in for #Lajwanti! 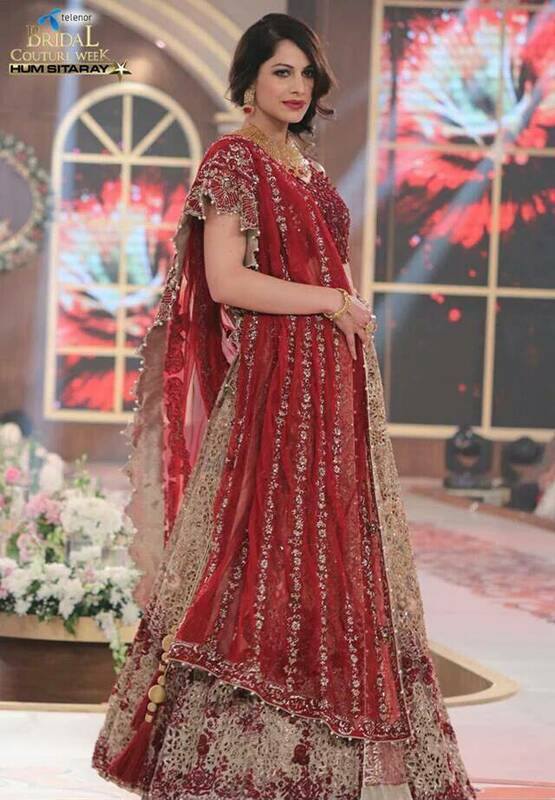 @SabeekaImam talent and beauty altogether.